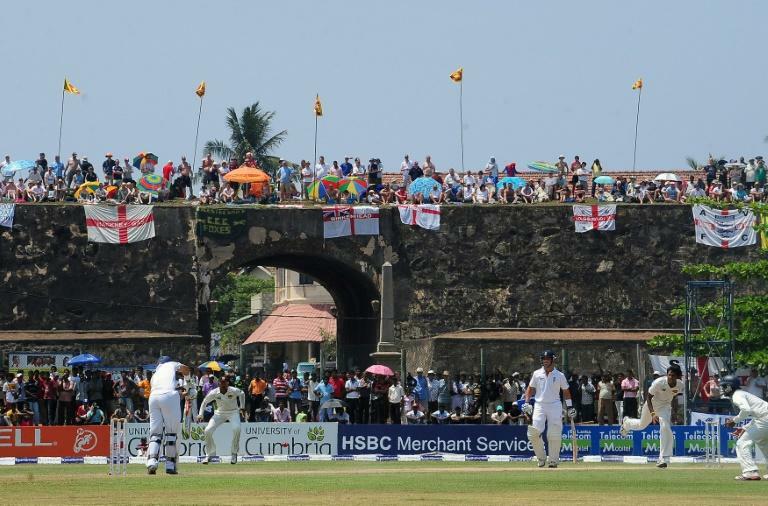 England could be the last team to take on Sri Lanka at its famed Galle stadium, considered one of the world's most picturesque cricket grounds, when they tour in November. Cultural Affairs Minister Wijeyadasa Rajapakshe told parliament Friday that the fort risks losing UNESCO World Heritage status because of unauthorised construction, including Galle's 500-seat pavilion. "We have to decide if we want to remain in the World Heritage list or keep the pavilion," Rajapakshe said. The world's highest Test wicket taker, Sri Lanka's spin wizard Muttiah Muralitharan, took his 800th scalp against India at Galle in 2010. Six years earlier, Australia's legendary Shane Warne took his 500th Test wicket there. Sri Lanka's 1996 World Cup winning skipper Arjuna Ranatunga suggested Friday that the authorities could dismantle the offending pavilion and erect temporary stands when Tests were being played. "We need to keep both the heritage status for the fort and at the same time play international matches at Galle," Ranatunga, now a minister in the current government, told AFP. He said a proposal 10 years ago to play day and night matches at Galle -- floated while he was the interim head of Sri Lanka Cricket -- was shelved because setting up lights would have violated building codes in the area. His cabinet colleague Rajapkshe noted that the government plans to build another stadium in Galle, two hours' drive south of Colombo. "We could have another cricket grounds in Galle soon," he added.